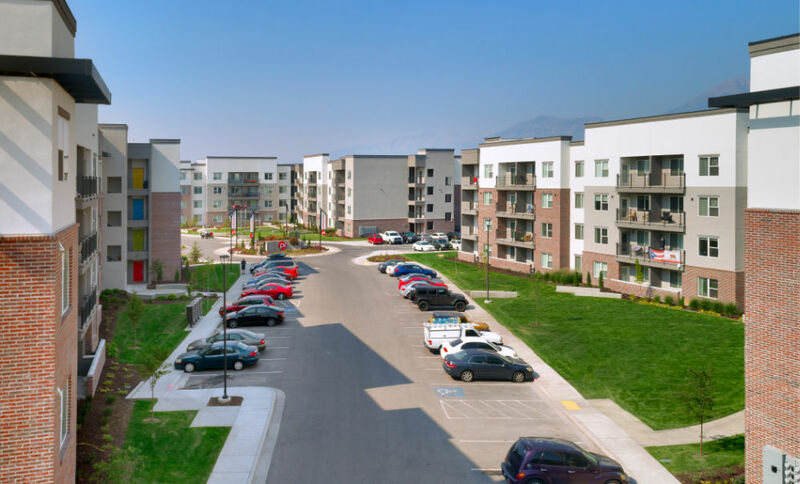 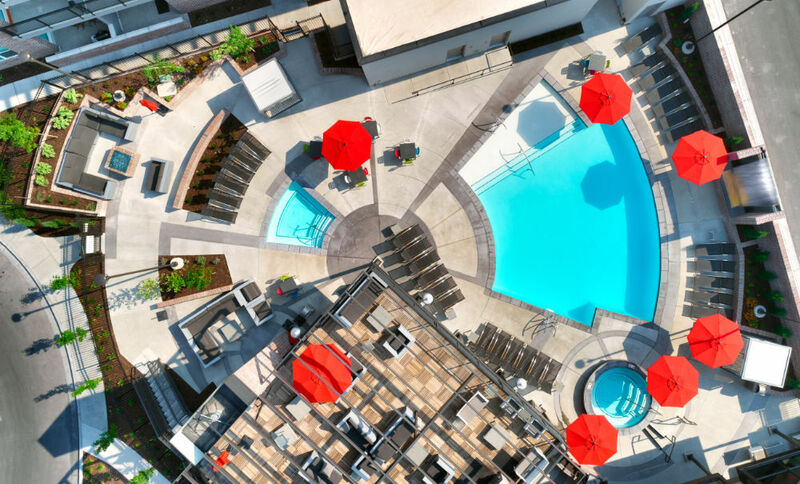 The site features (5) 4-story apartment buildings of different unit quantities and orientations with the clubhouse and pool deck centrally located. 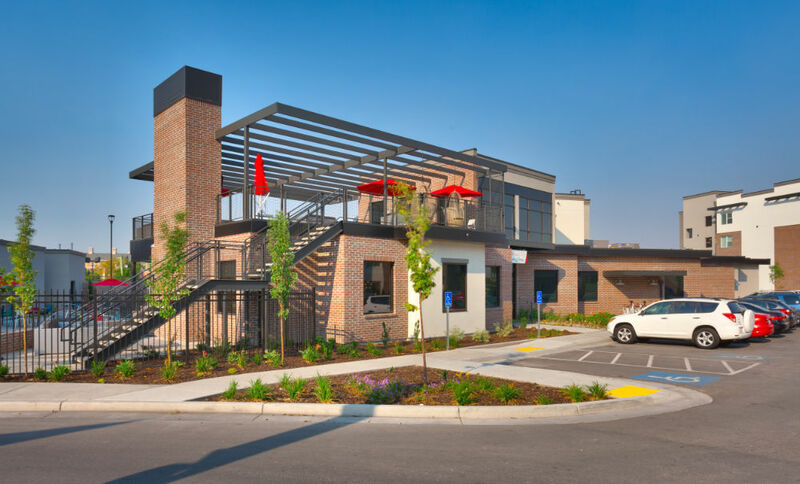 Bike share, vehicle charging stations, and Kid’s outdoor playground are located for common use adjacent to the clubhouse. 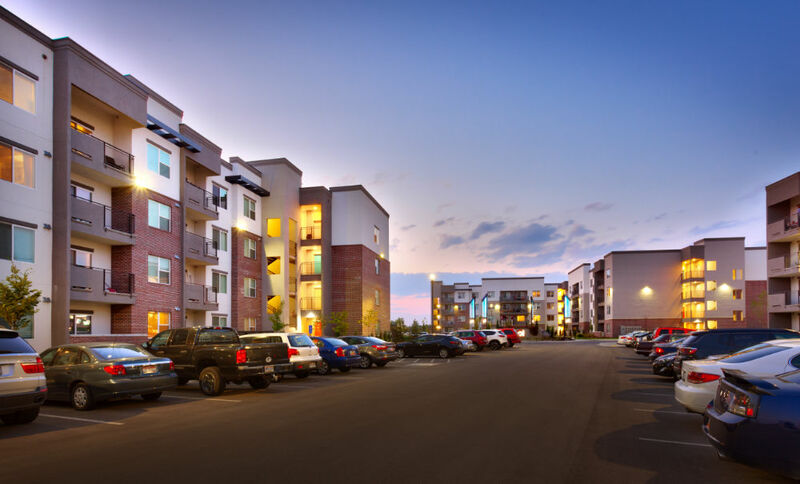 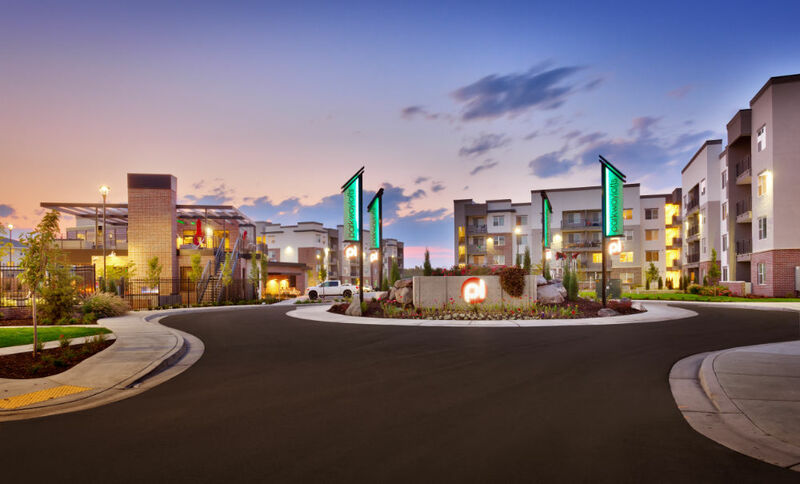 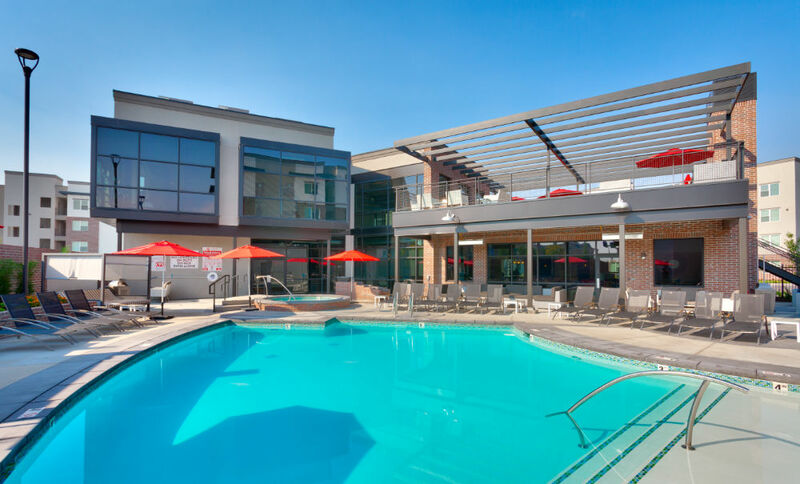 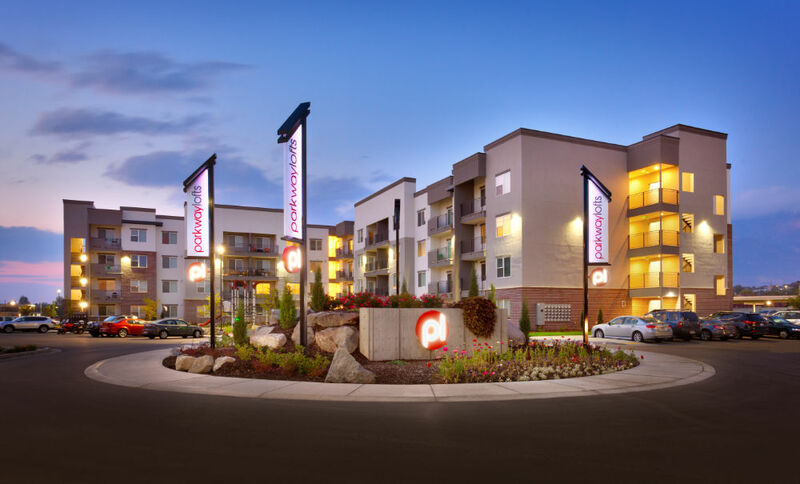 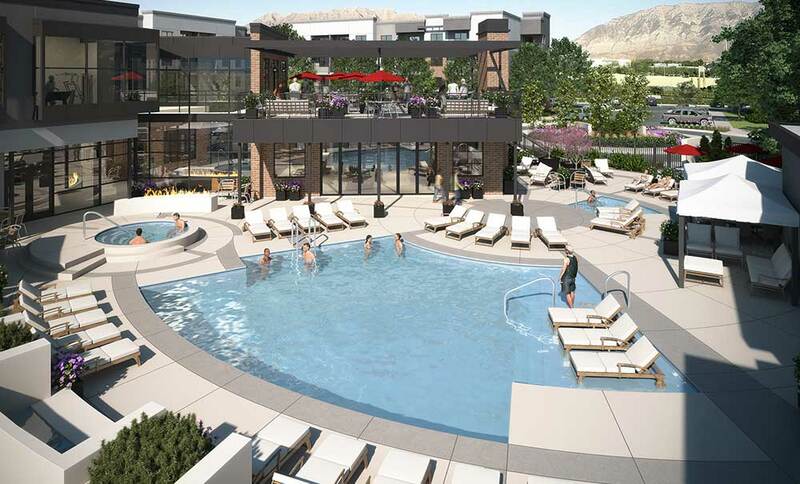 The clubhouse was designed to support 332 apartment units including outdoor pool and spas. 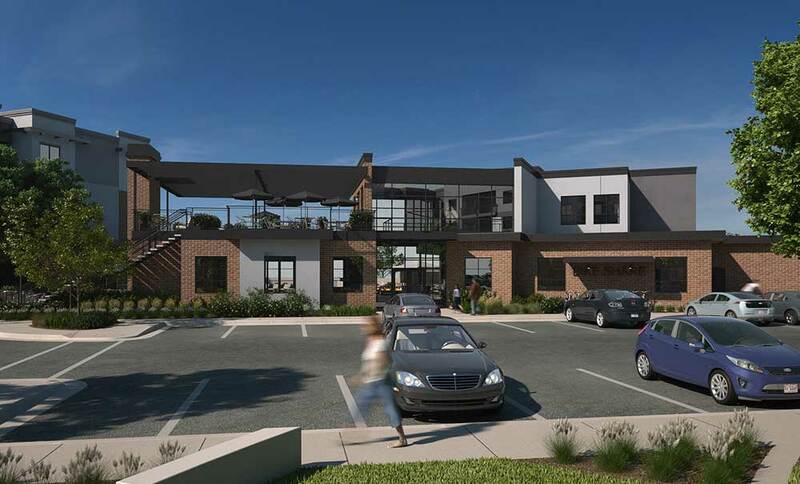 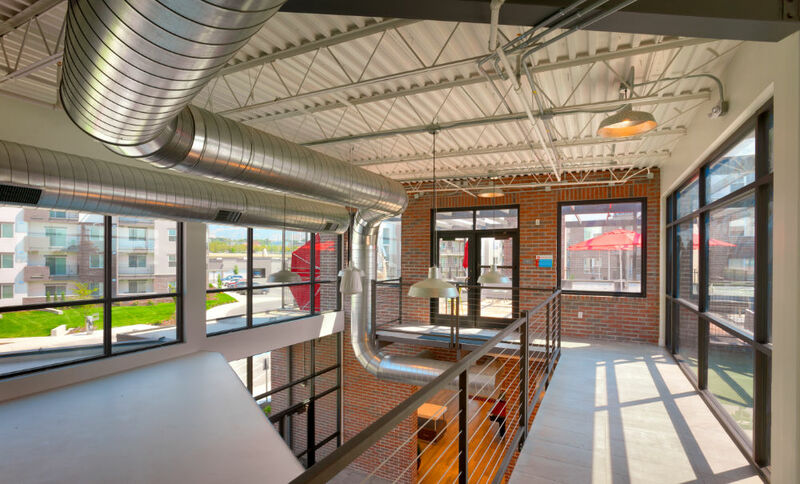 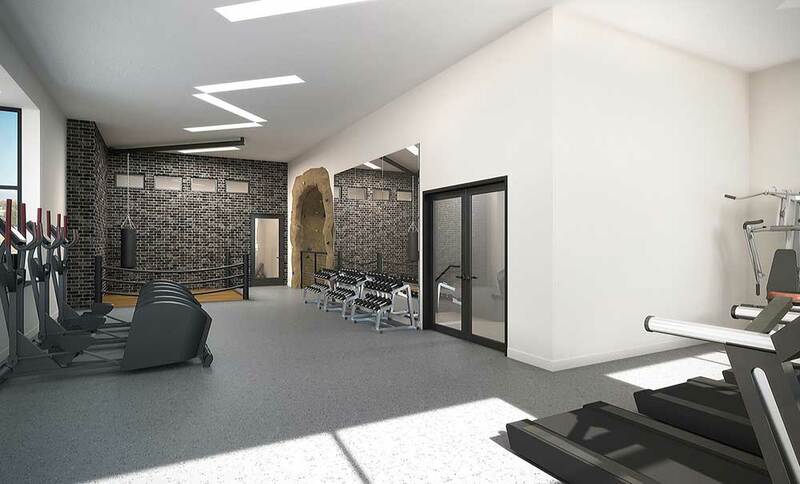 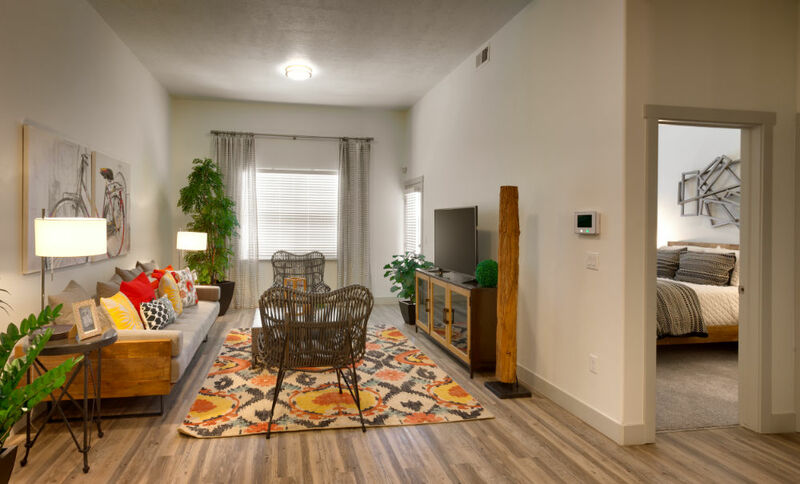 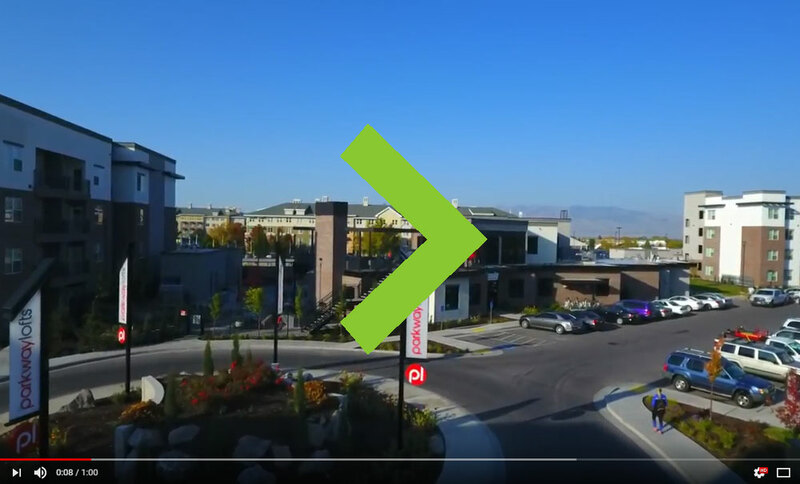 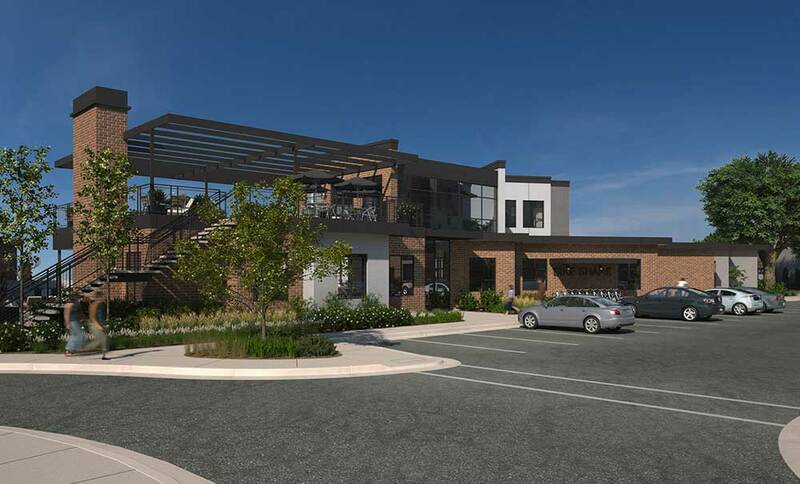 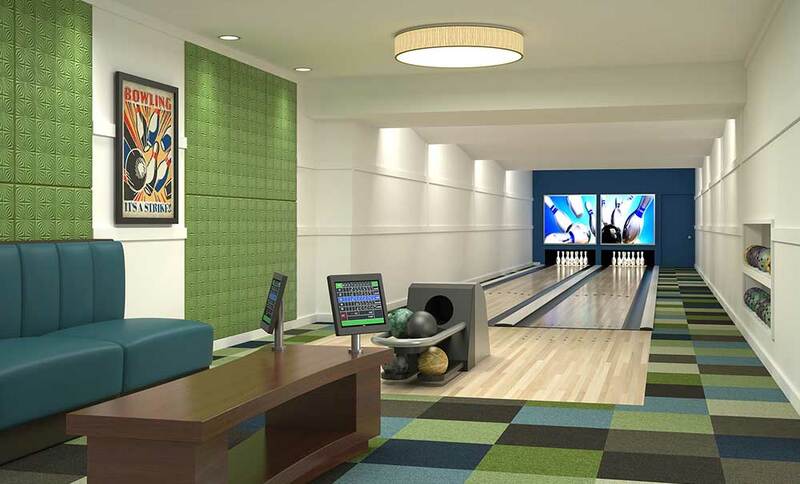 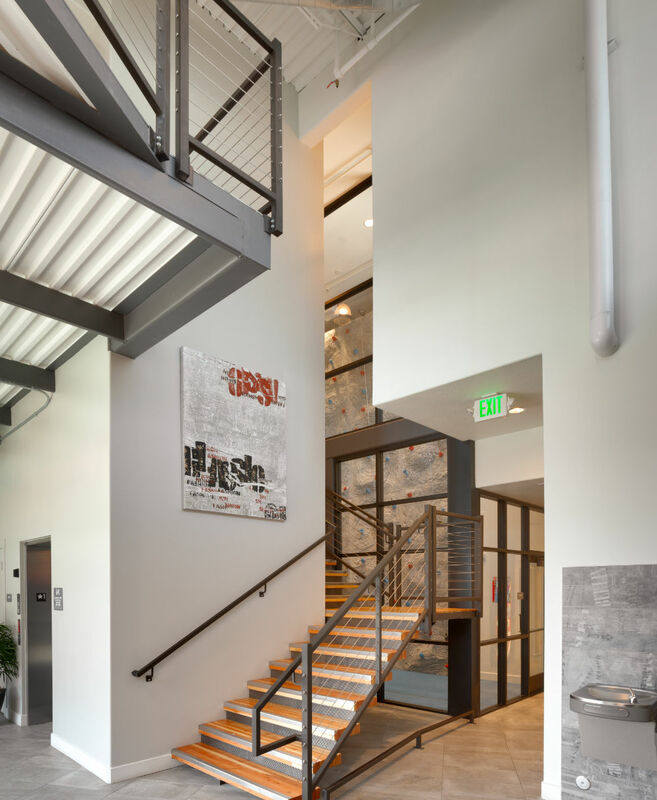 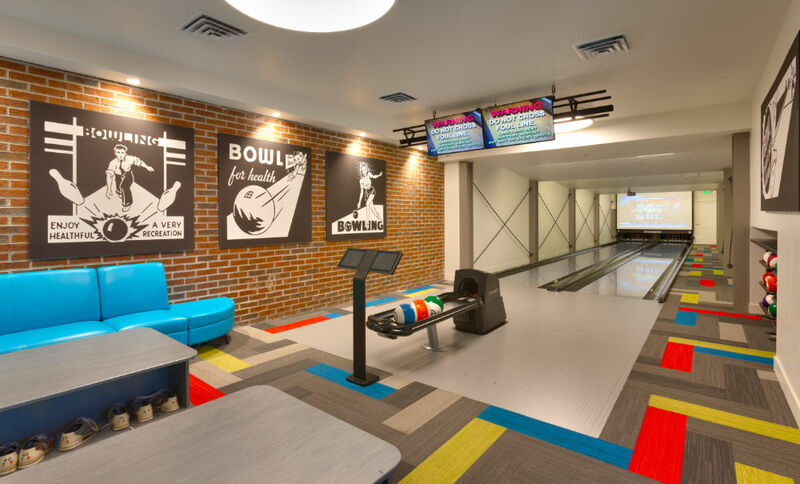 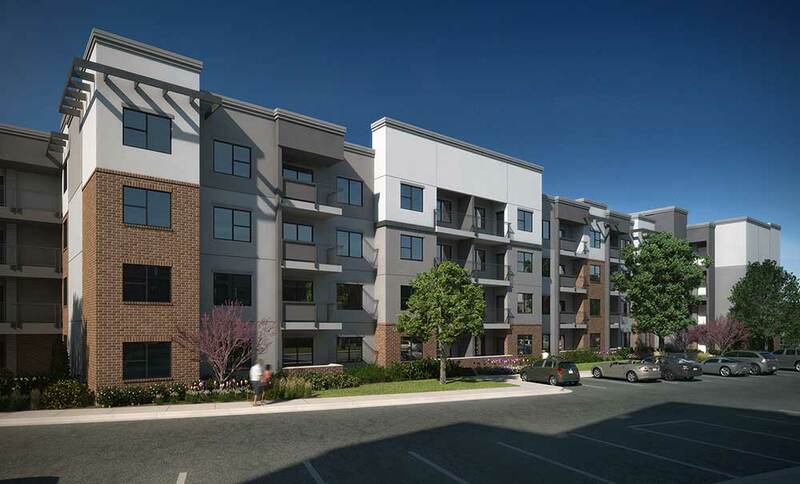 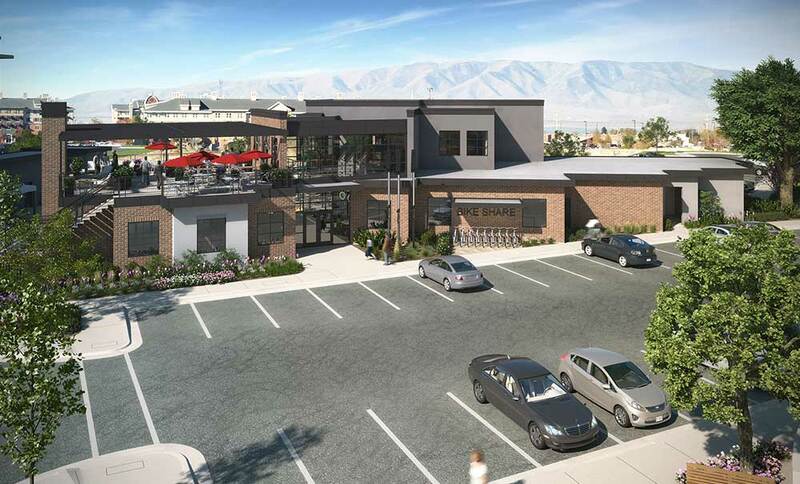 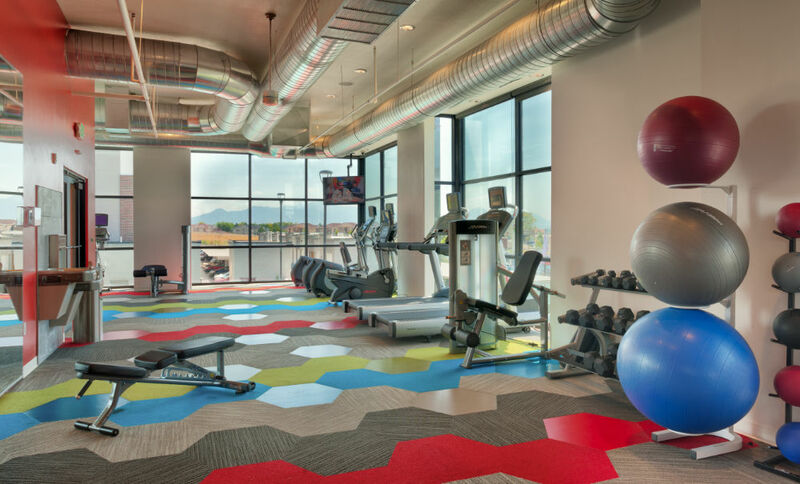 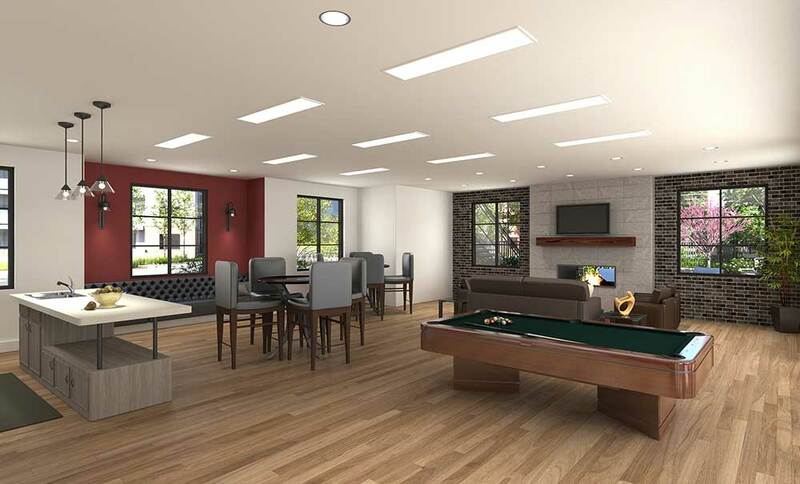 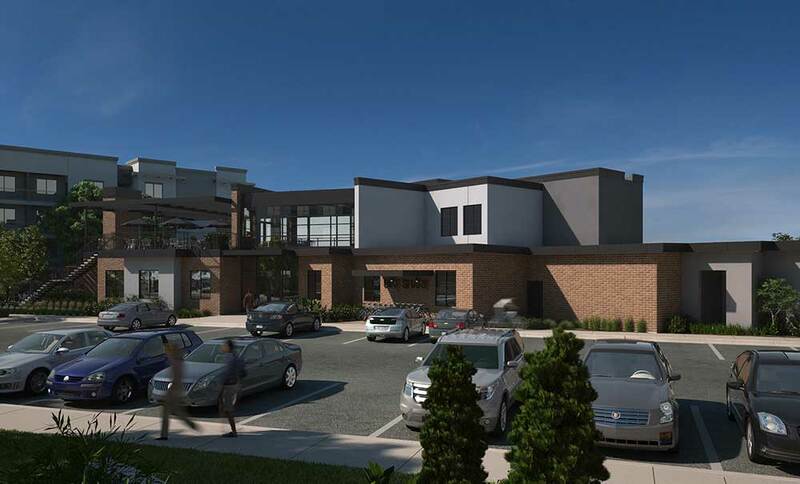 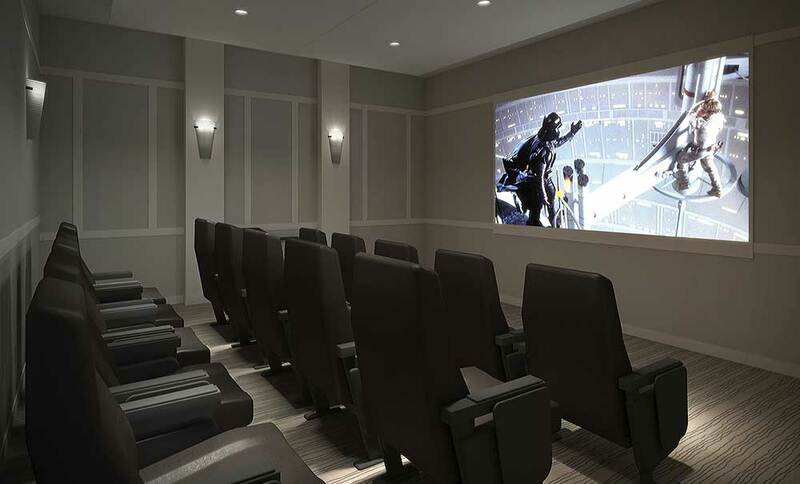 Clubhouse features include the following: clubroom, fitness, climbing wall, theater, bowling alley, package room, outdoor patio deck, game room, work room, offices, entry lobby, restrooms, storage and other support spaces. 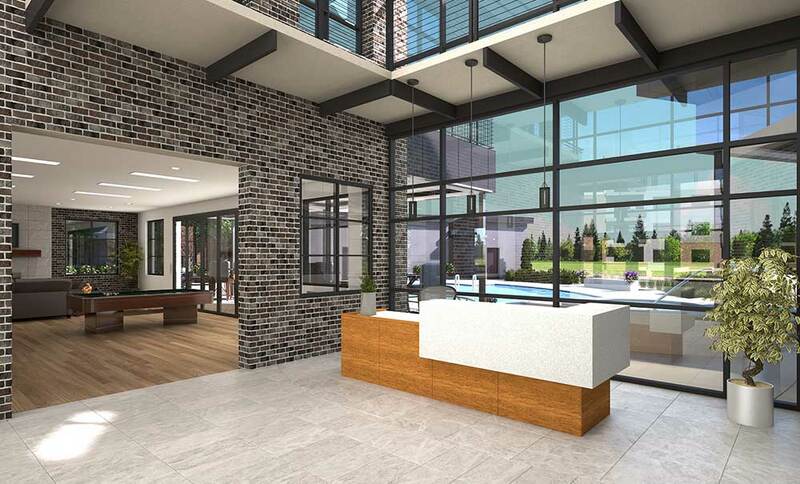 The design features direct visibility to all the indoor and outdoor amenities from the reception desk at the entry lobby. 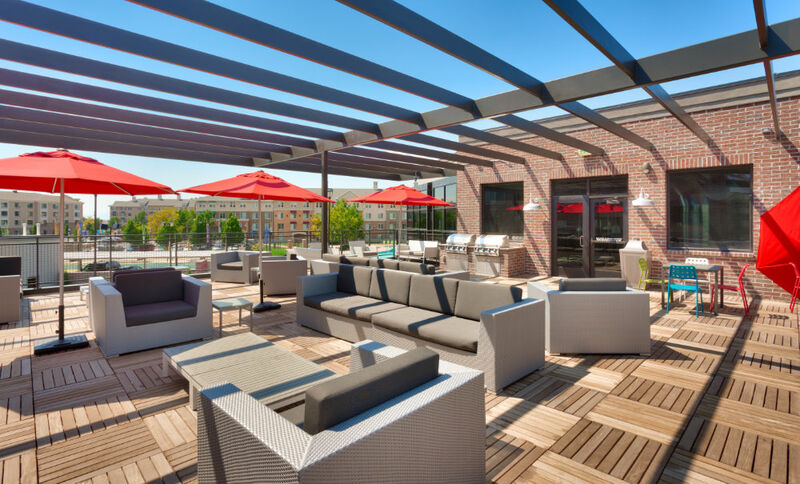 The pool deck features fire-water features as well as outdoor fire pits. 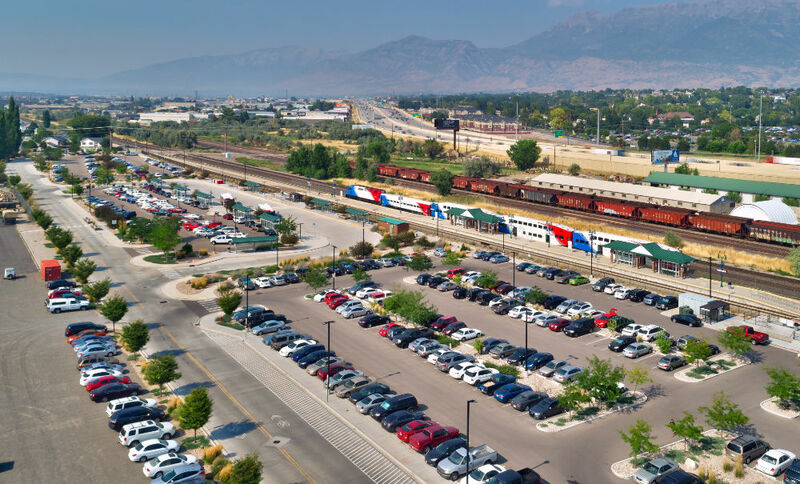 Utilization of the UTA Intermodal Hub was emphasized while balancing the desire to maintain parking for the target demographic. 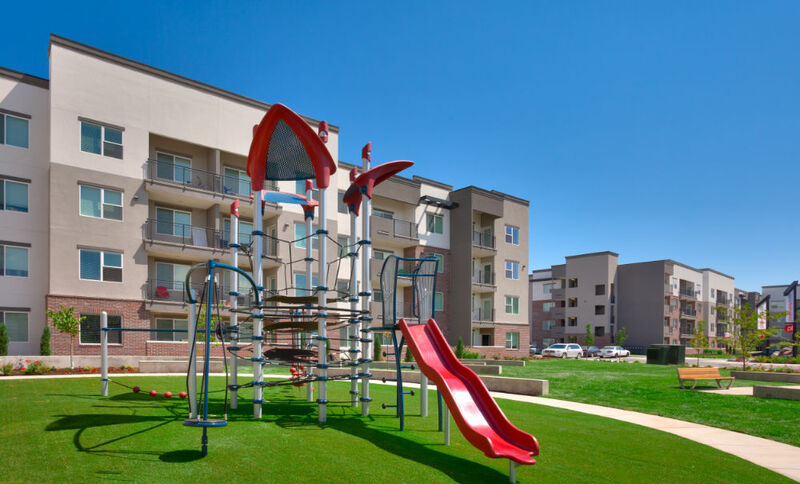 A dog park was integrated at the north end of the site. 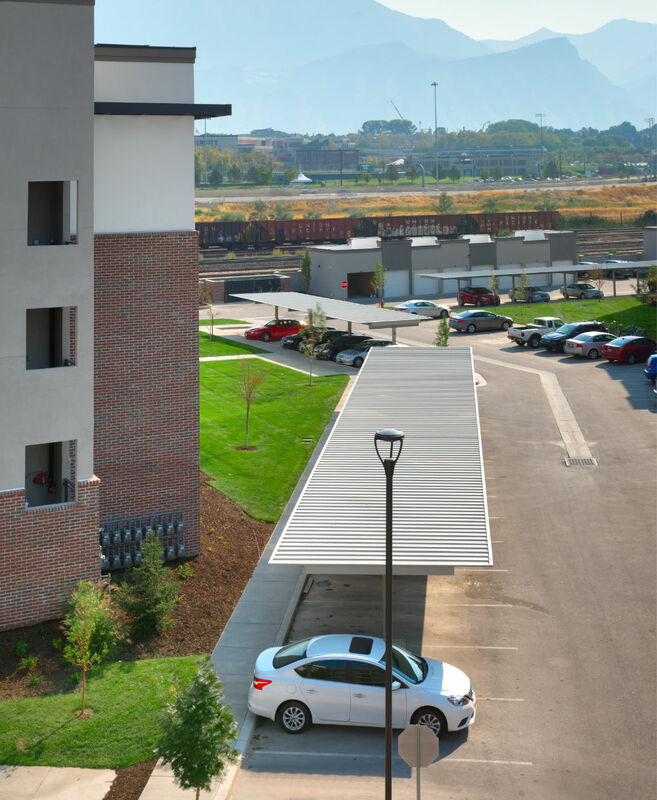 Enclosed parking garages and covered parking canopies were dispersed throughout the site. 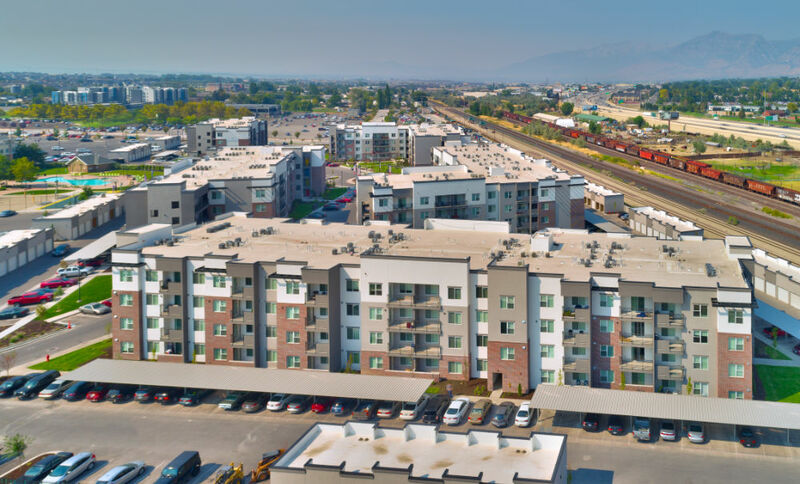 Project specific LED features and signage received a zone text change offering high visibility from both I-15 as well as University Parkway. 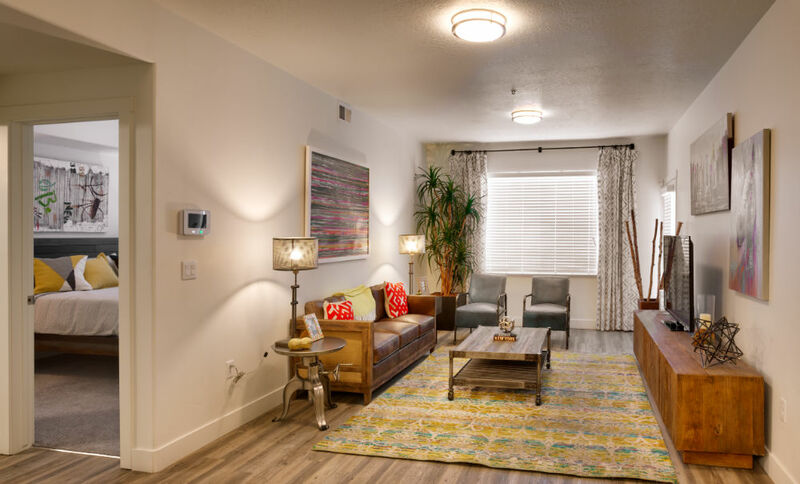 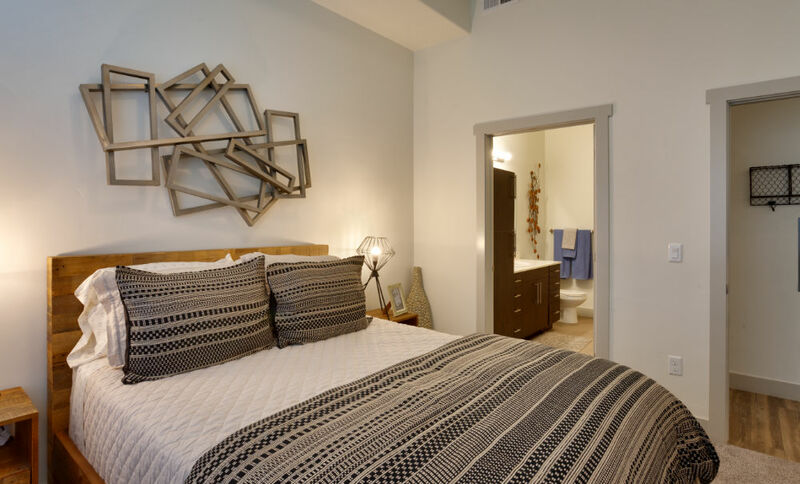 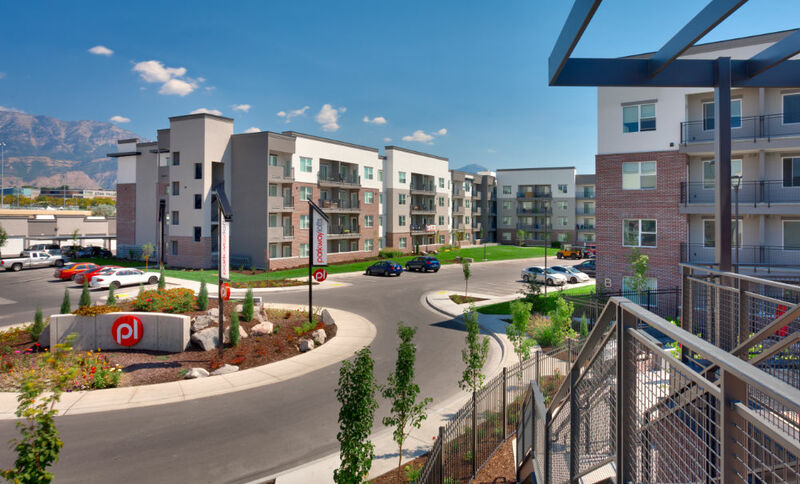 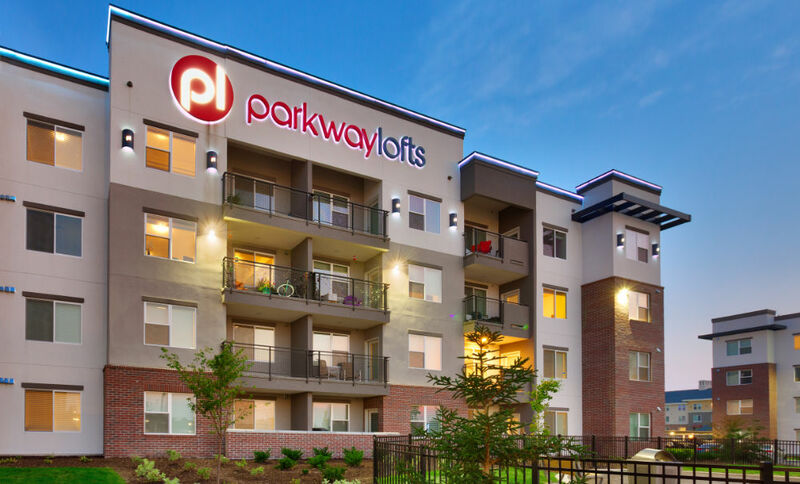 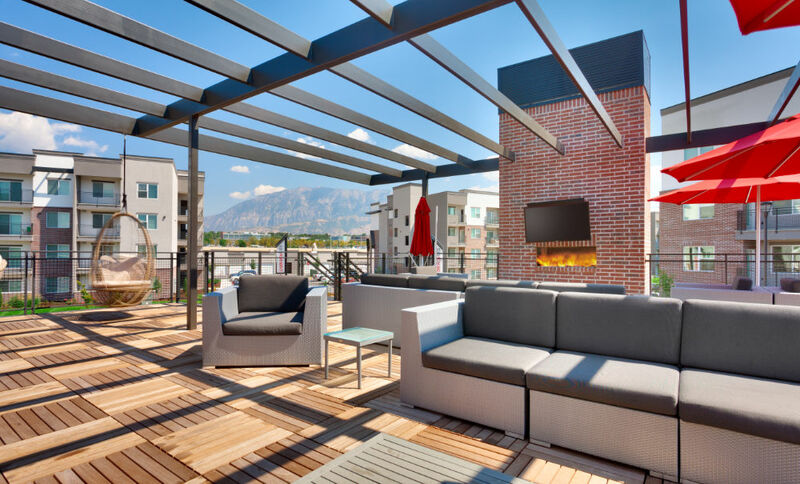 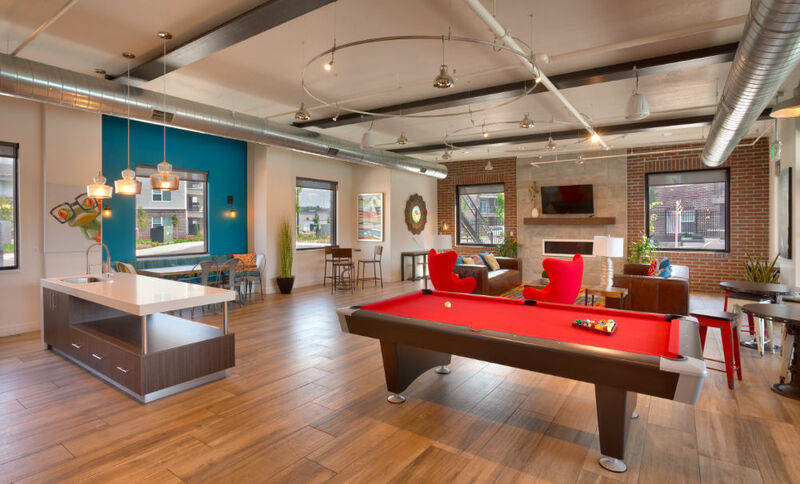 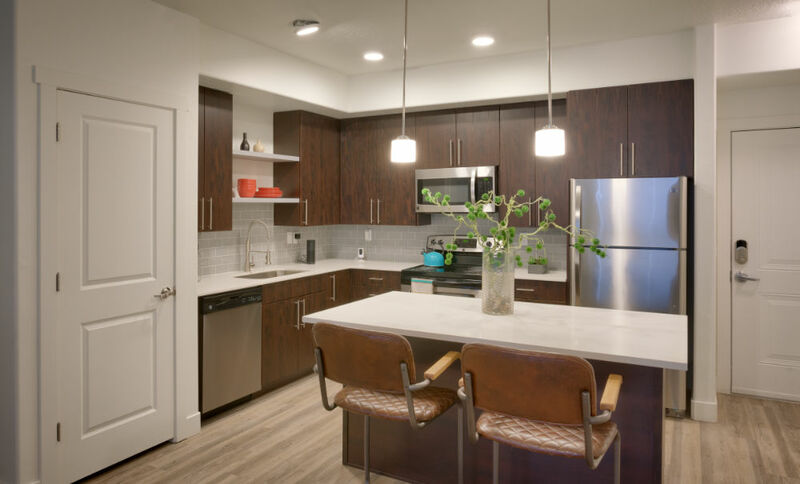 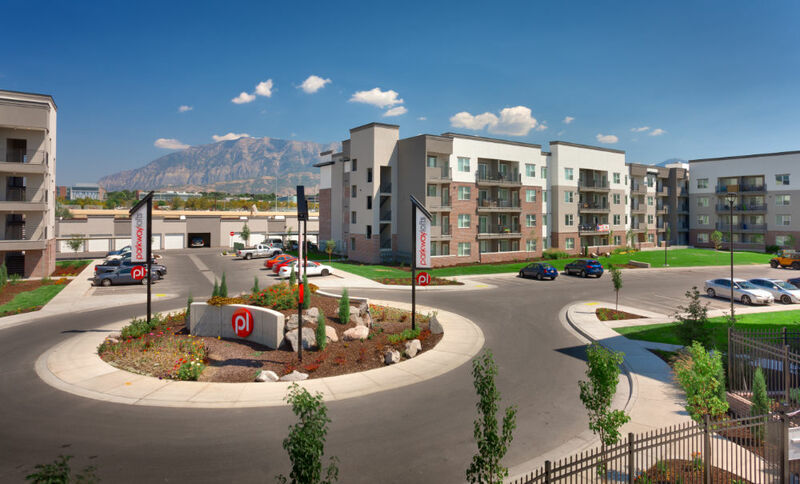 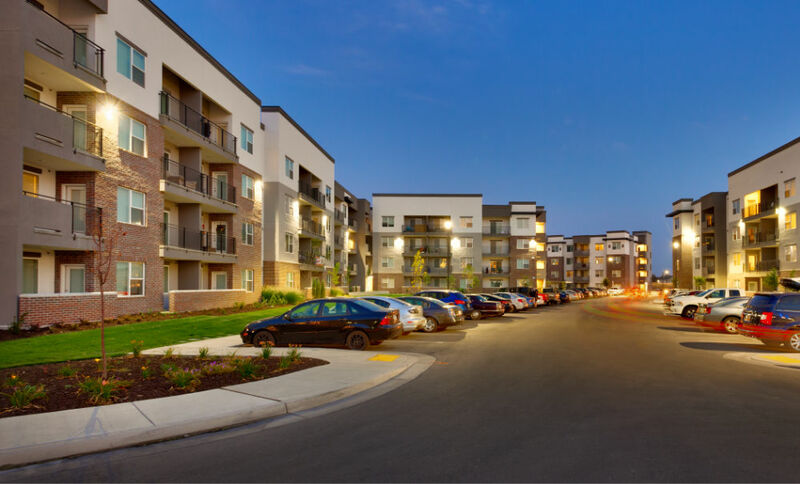 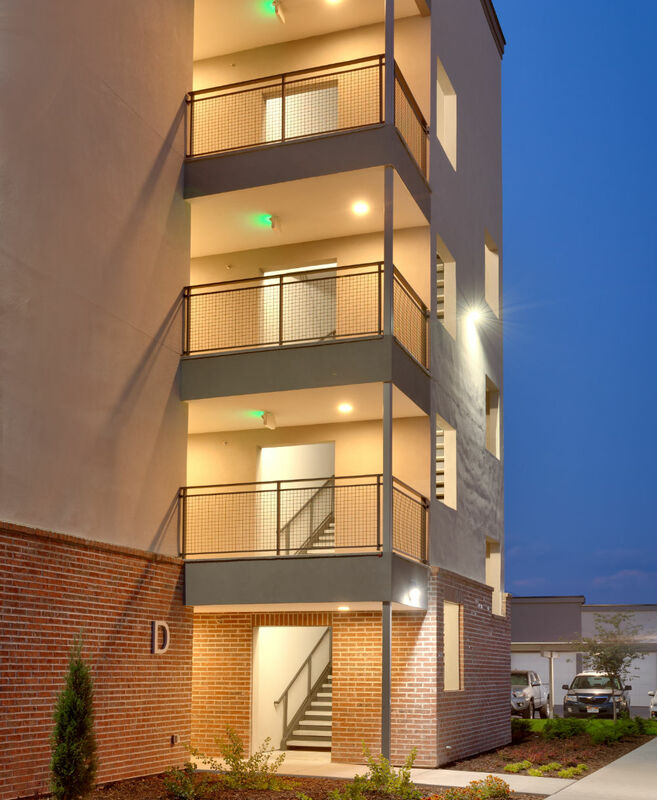 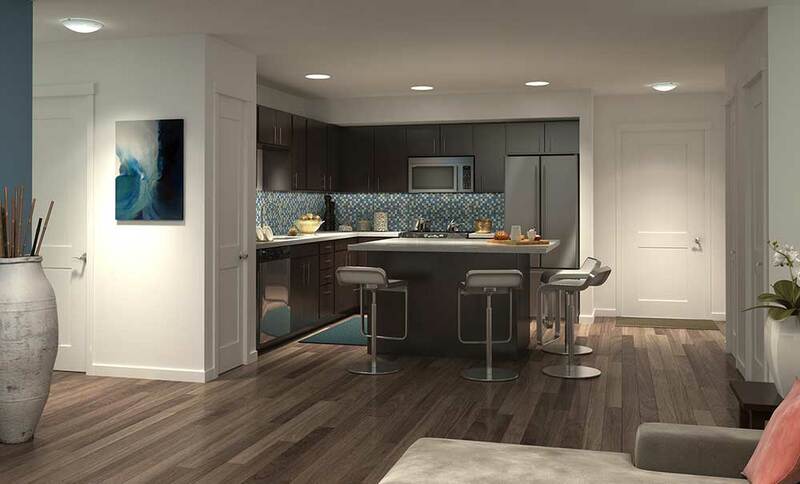 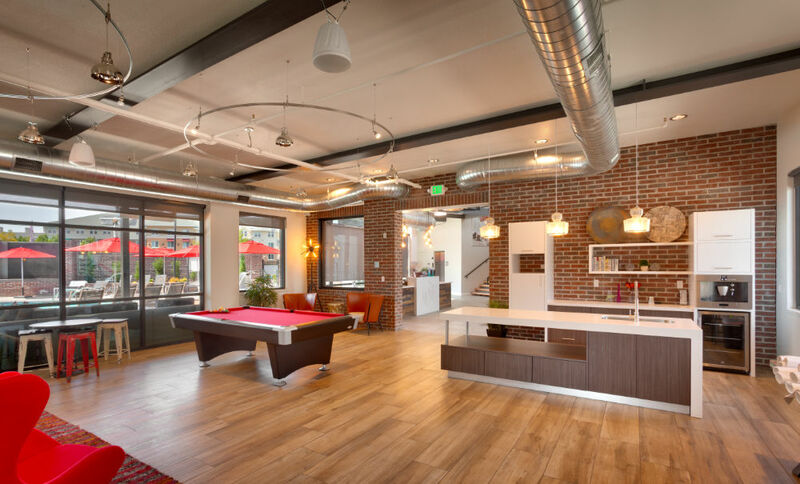 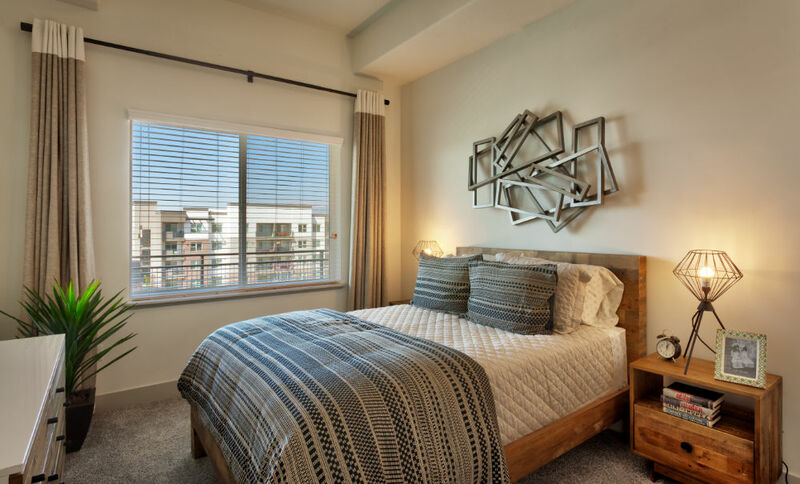 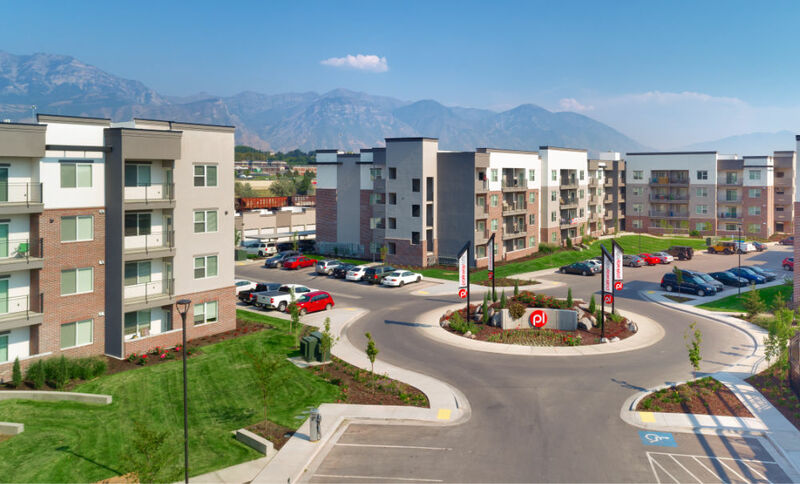 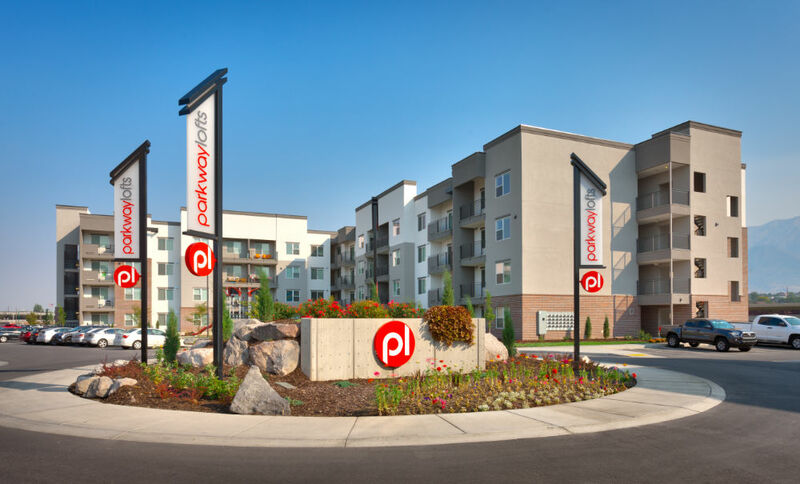 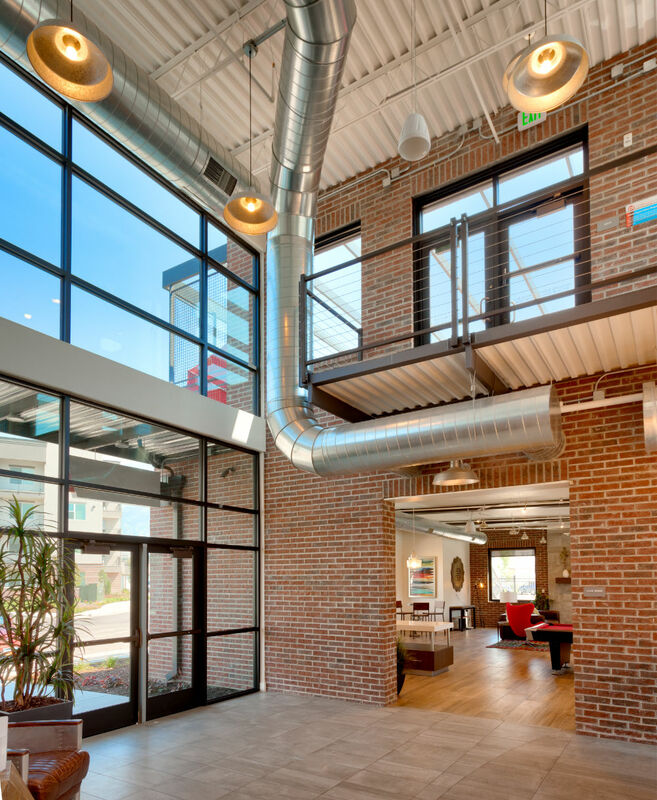 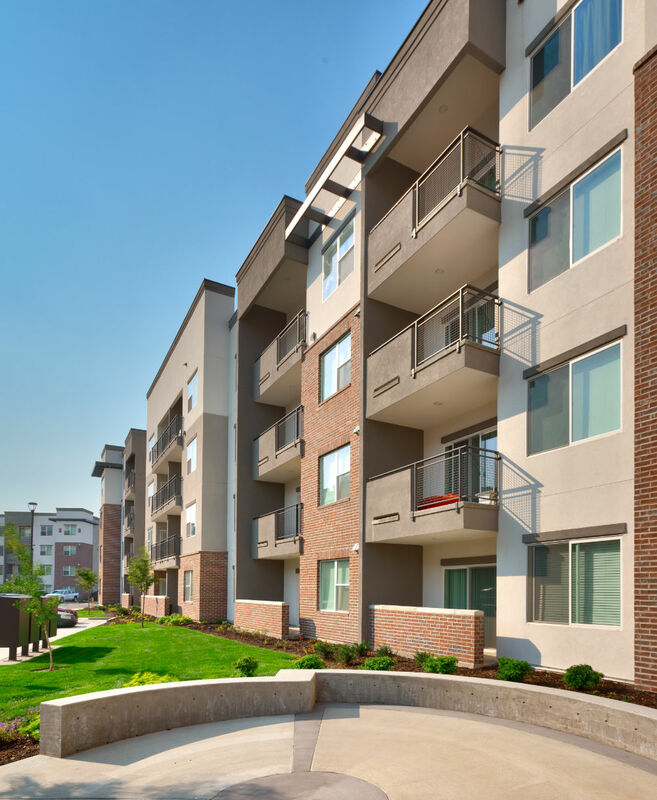 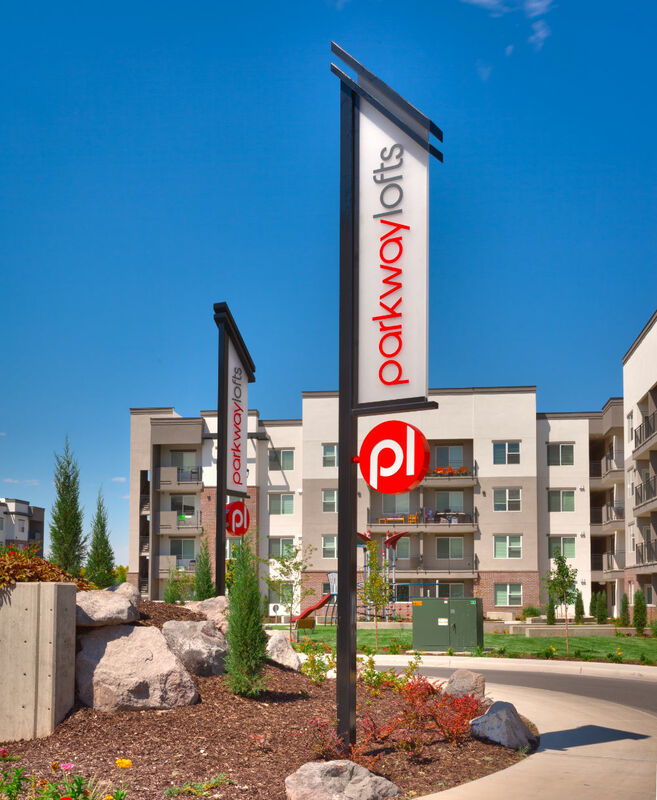 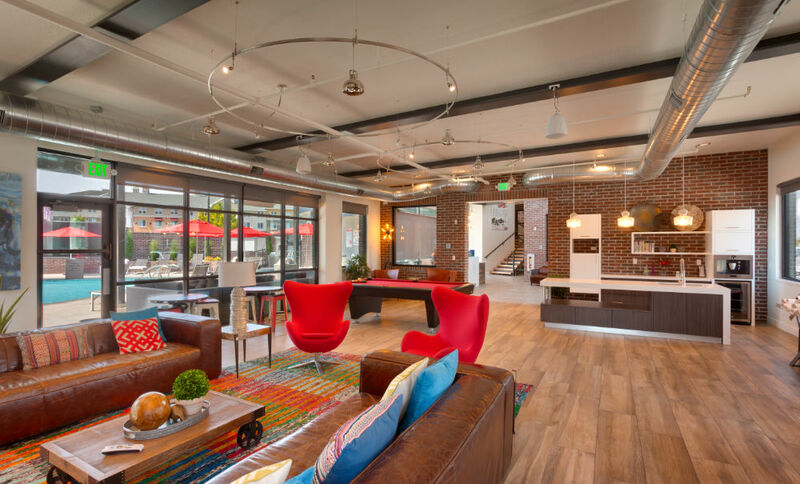 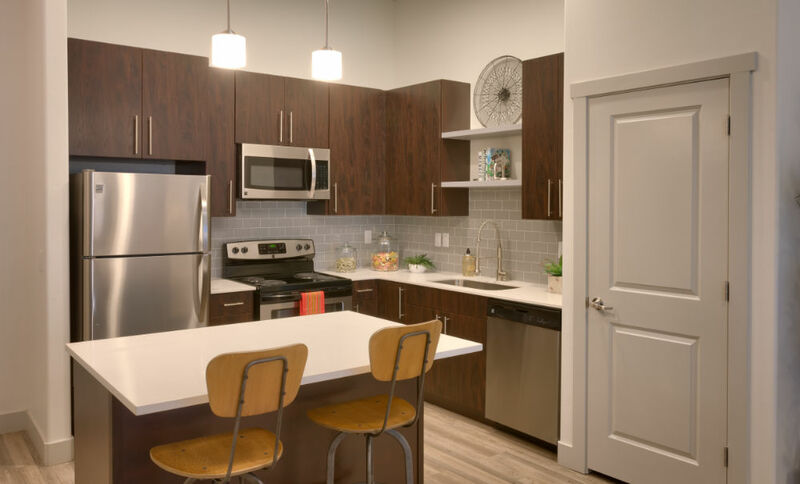 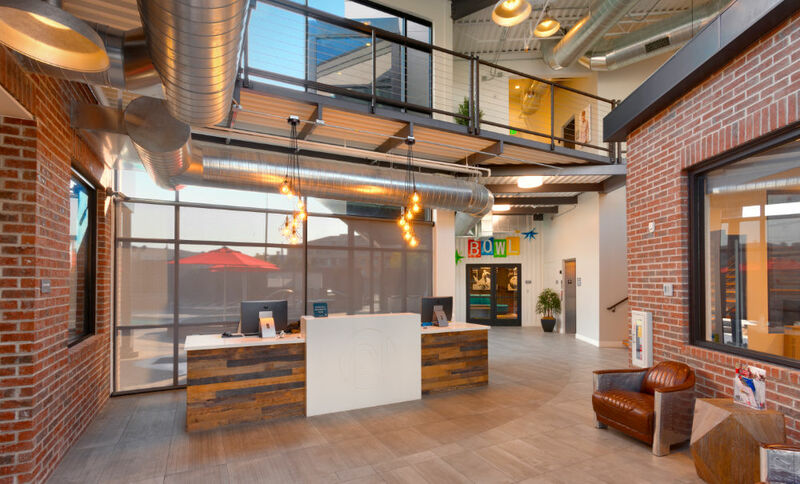 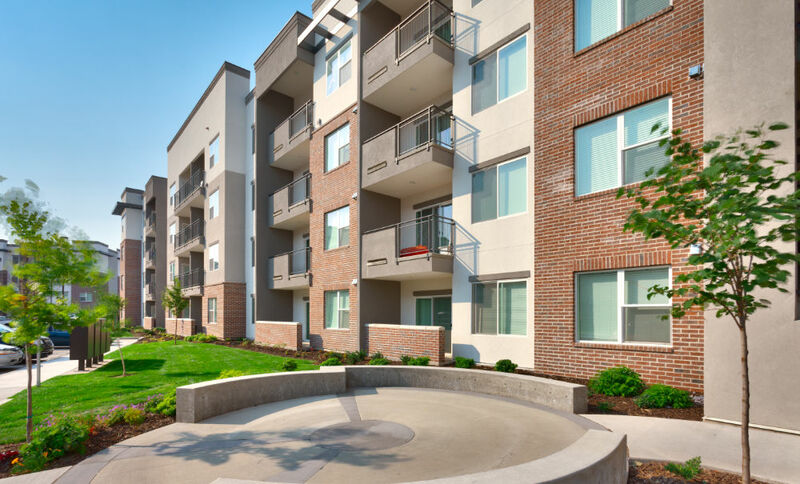 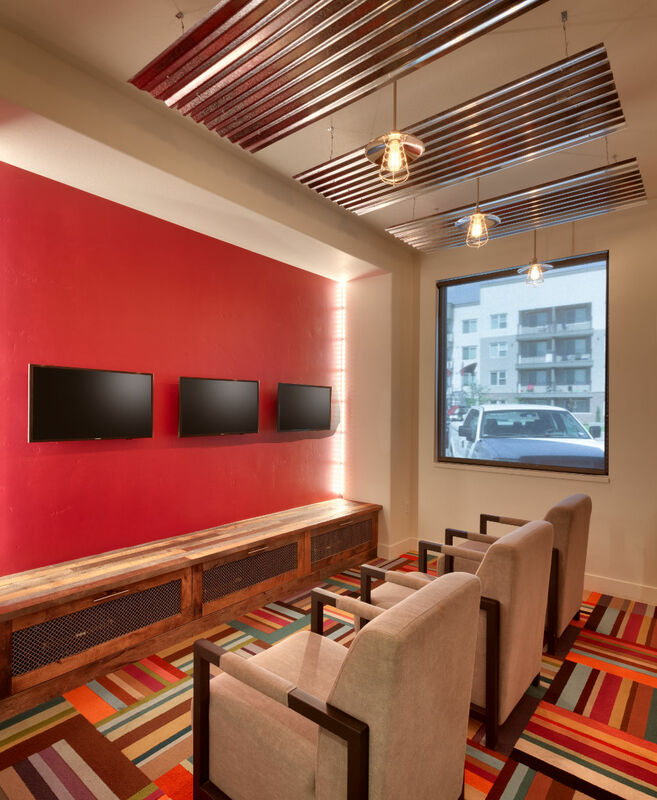 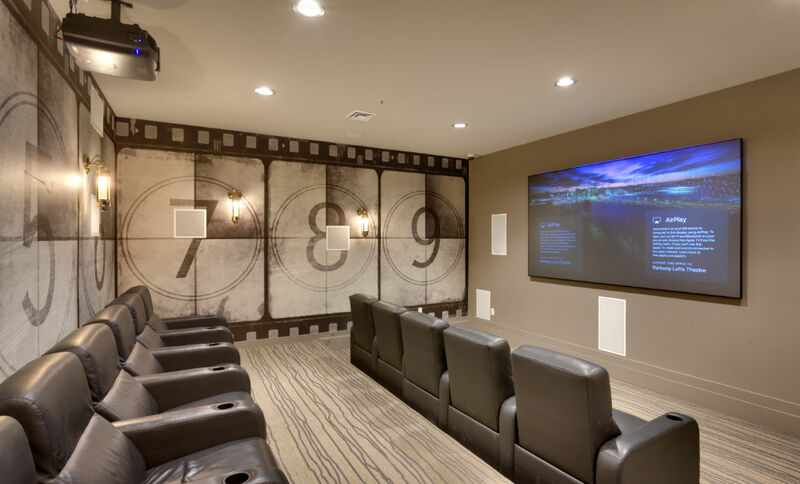 The project utilizes Smart Home technology and contemporary finishes, catering to a young professional demographic.